Got a computer? Help out the atom smashers! 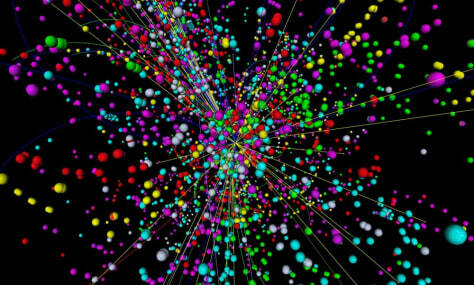 A simulation of a particle collision inside the Large Hadron Collider, the world's largest particle accelerator near Geneva, Switzerland. When two protons collide inside the machine, they create an energetic explosion that gives rise to new, exotic particles.